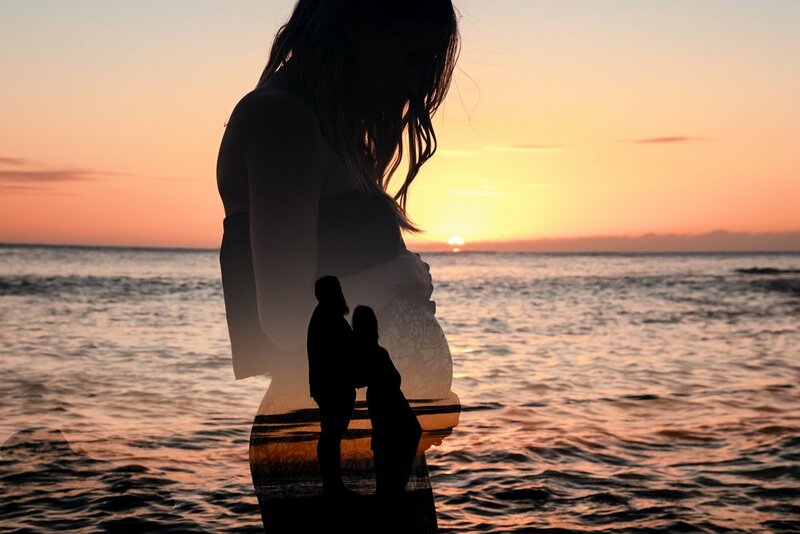 In our opinion, there are few places more perfect for maternity pregnancy baby bump portraits than on a warm beach in golden sunshine and the gentle ocean waves! 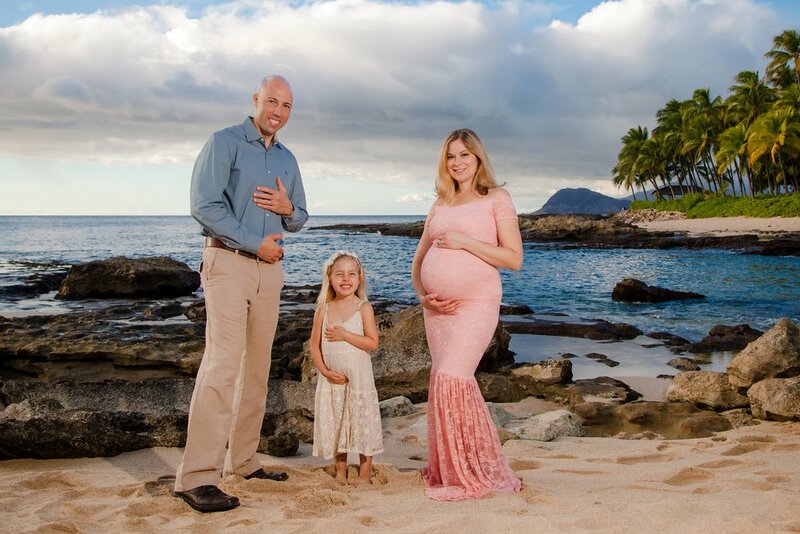 Maternity photography sessions can be done at anytime during your pregnancy as long as you are comfortable and relatively mobile. 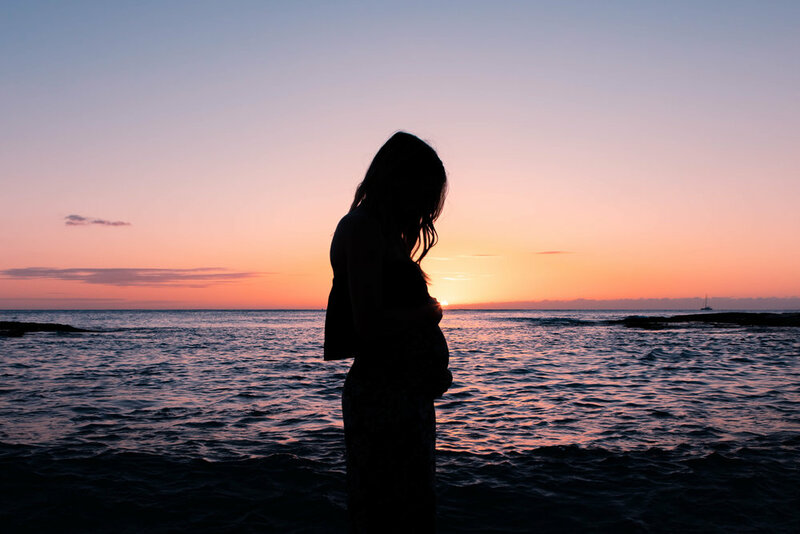 Maternity pregnant baby bump photography is on location, at the beach or a local park (or even your own home), and range from 60 minutes to several hours depending on the package. 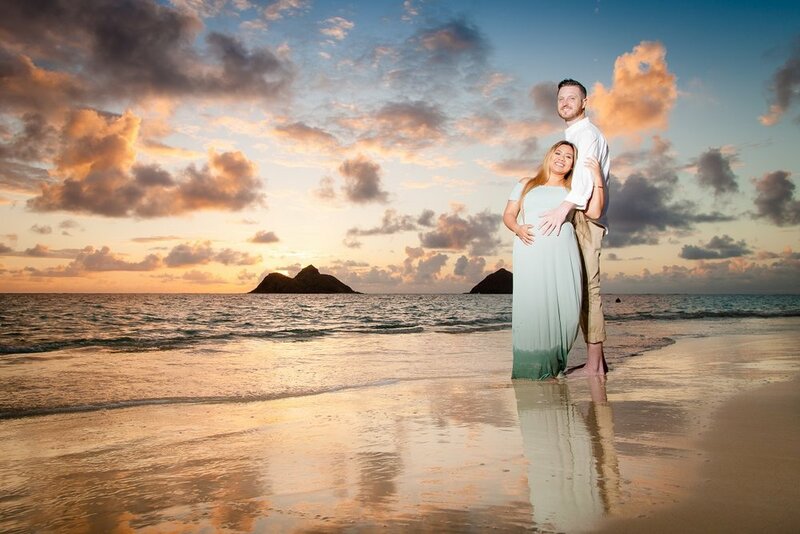 Within a few days of your Oahu maternity beach & sunset photo shoot, your images will be uploaded to an online gallery for viewing and downloading. Upon receipt of final payment, you will be able to immediately download your digital images direct to your computer. Additional high quality prints, enlargements and other products such as collages and photo books are available for purchase right from your gallery as well. 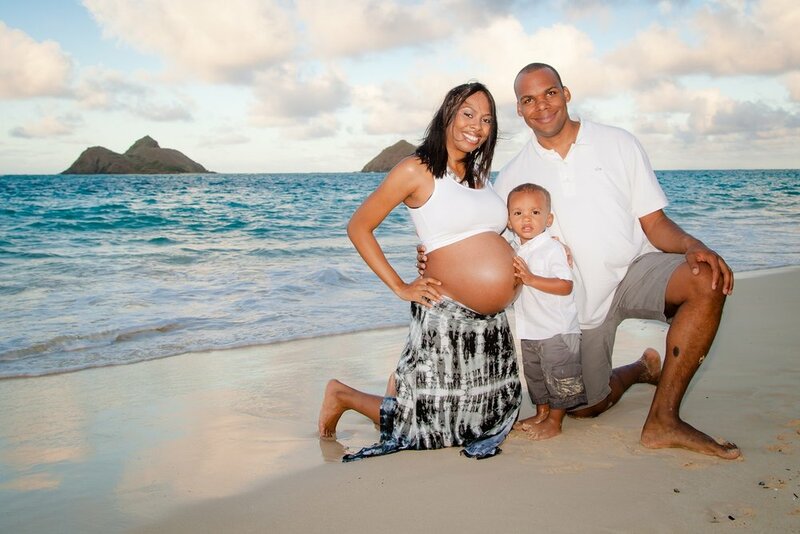 Each maternity package below includes a personalized online gallery where you can view, print and share your images. All sessions are a personalized mix of candid and posed photos, to your preference. All images are edited for color, clarity and composition, with occasional small blemish retouching. The Hawaiian Bliss Package is typically used for a double session for maximum variety. For example, one session in the morning for bright, sunny, casual images, then a follow up one at a different location for a more formal sunset session.